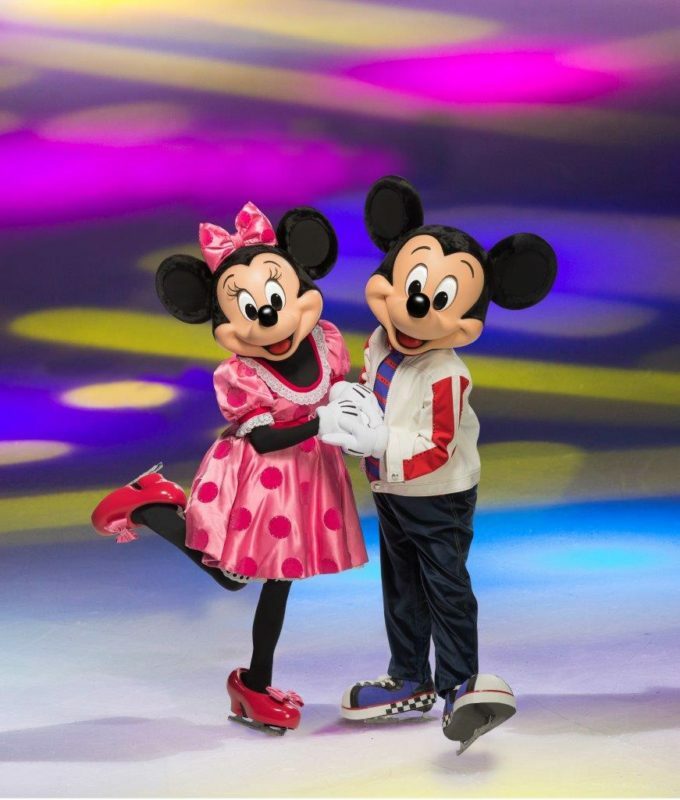 Disney On Ice returns to the Southland this winter with Dare to Dream! The tickets are on sale now so be sure to pick them up before it’s too late. 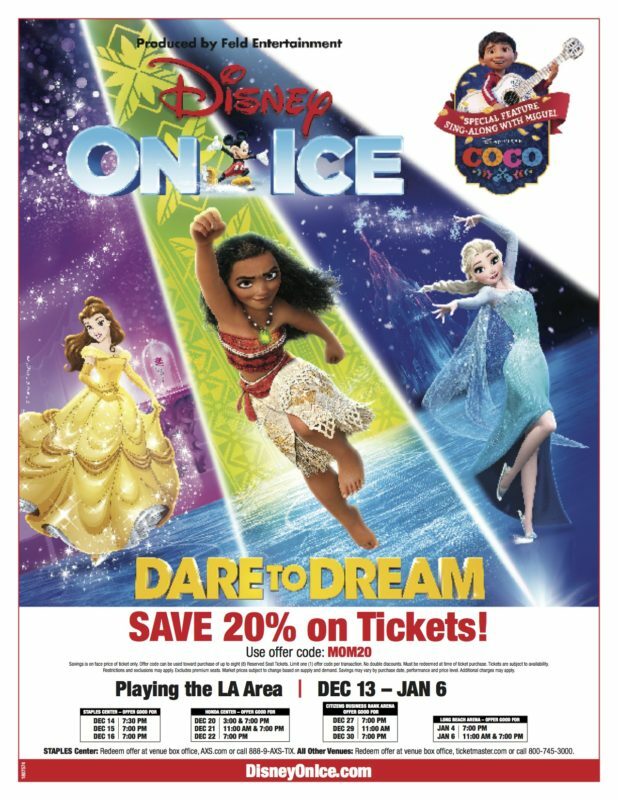 Disney On Ice presents Dare to Dream will feature five Disney Princesses who show bravery and courage. Disney’s Moana will skate for the first time as host Mickey and Minnie Mouse guide us through the magic of Disney. Guests will be whisked away to snow-covered mountains and raging seas and see beloved characters and some of their favorite Disney Princesses. 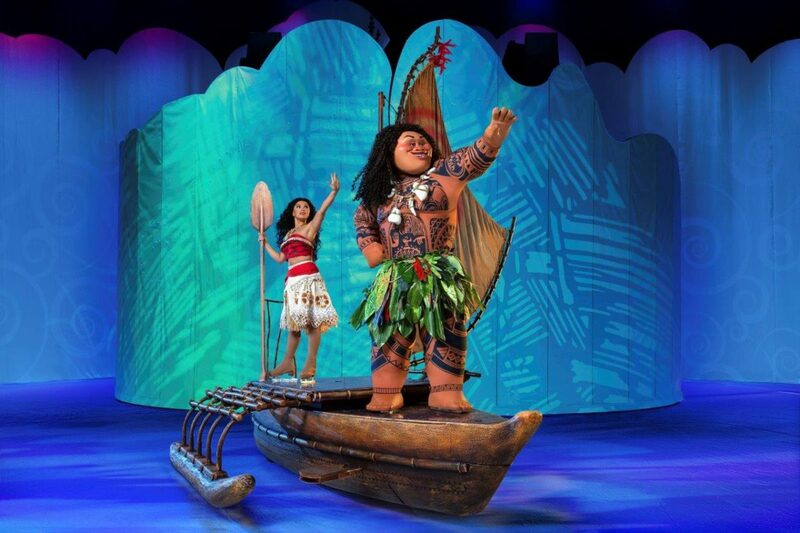 See how far Moana will go during her Disney On Ice debut as she and Maui adventure through the high-seas. Join Belle, Anna, Elsa, Rapunzel and Cinderella as they overcome obstacles to follow and discover their dreams. Arrive early to celebrate with a special sing-along preshow with Miguel from Disney•Pixar’s Coco! Save 20% on select tickets using code MOM20! 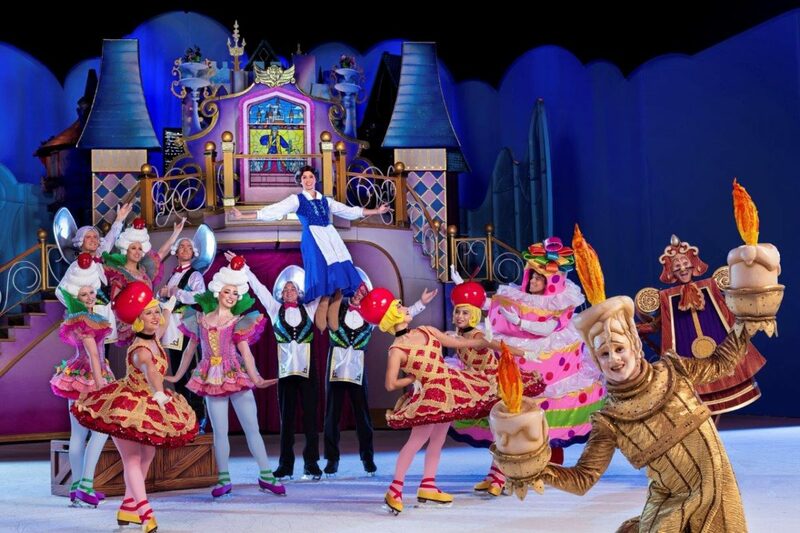 Have you been to a Disney On Ice? Check my other Disney On Ice posts here.